Johnnie Walker talks to Rod Stewart about his love of the UK, his family, football, long-legged blondes, the armed forces, that famous Stewart 'luck' and his return to songwriting. Johnnie Walker is in conversation with one of our greatest performers and songwriters, whose voice is just as distinctive and strong now as it was with the Jeff Beck Group and The Faces in the 60s and 70s. Rod Stewart CBE has broken chart records on both sides of the Atlantic, with top ten and number one hit singles and albums, including clever covers, the great American songbook and his own heartfelt compositions. Rod talks in depth about his love of this country, his family, football, long legged blondes, the armed forces, that famous Stewart "luck" and his triumphant return to song writing. 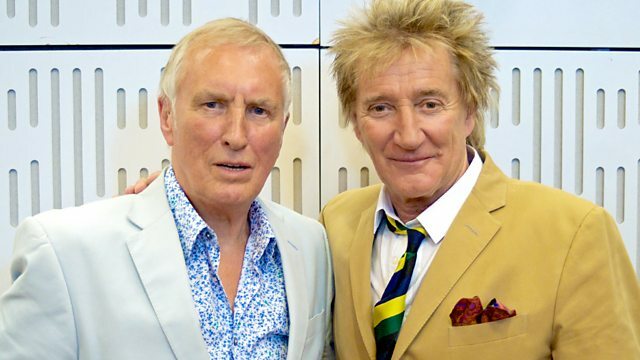 Since Johnnie and Rod last met he has released two albums and written his autobiography, so there is a lot to catch up on. Above all, he is great company - hugely enthusiastic and very funny - and not afraid to comment on his past and laugh at himself. This programme was first broadcast in August. Rod Stewart - The Rod Stewart Album. Rod Stewart - Stardust: The Great American Songbook Vol III. Every Picture Tells My Story.